HAERTS is a band from New York hailing from Germany, England, and the US. The group consist of Nini Fabi, Ben Gebert, Garrett Ienner, Derek McWilliams, and Jonathan Schmidt. Fabi recently described the band as being like a falcon. Their 80s inspired first single is appropriately entitled ‘Wings’. Following on from ‘Wings’ is a more muscular, lovelorn ‘All The Days’. The video for ‘All The Days’ leads us straight onto the dance floor to watch dancers salsa along to Fabi’s haunting vocals, as she reminisces on a lost love. Director, Bridget Palardy and cinematographer, Todd Banhazl were recruited by Aritzia Magazine to produce the vignette, which was filmed in Havana-inspired nightclub La Descarga. It also features Aritzia’s new clothing line. We’ve already posted Joywave‘s ramped up remix of ‘All The Days’ on the Indietronica Facebook and Twitter pages, but we thought we would post it again as we can’t get enough of it! 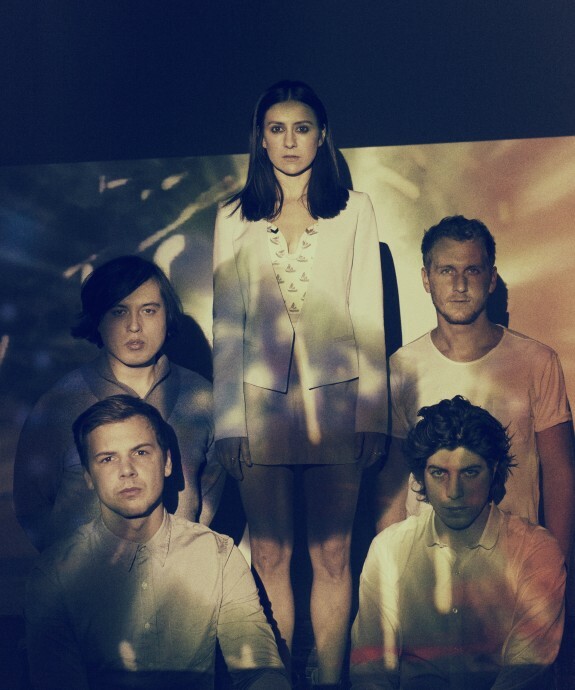 HAERTS have just commenced touring the US with Washed Out and their highly anticipated EP ‘Hemiplegia’ is out on 17 September 2013 via Colombia Records. The EP has received further international input, being produced by Jean-Philip Grobler (aka St. Lucia).